April was a busy month for me. There has been a bridal shower for my son's fiancee, Robin, and a Jack and Jill wedding shower for both Robin and Chris on May 1st. Now I have met just about every one of Robin's friends and extended family. I am making several of my Irish appetizers for their wedding shower and a shower cake using the Irish Lemon Carrot Cake with my Best Cream Frosting. Although Chris and Robin are not having an Irish wedding, I have printed up some information about Irish Wedding Customs, Customs of the Irish Matchmaker, and the History of the Irish Claddagh. They may find it interesting to know that some of the wedding practices of today started in Celtic Ireland, such as handfasting, the precursor of 'tying the knot' for example. 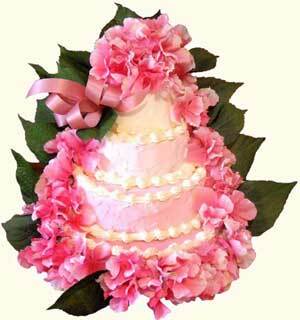 The next holiday coming up this month is Mother's Day, celebrated on May 9th in the USA. I believe that Mother's Day in Ireland is celebrated on the fourth Sunday in the Christian fasting month of Lent. The Irish Lemon Carrot Cake mentioned above was made and decorated for Mother's Day but we have several other beautiful cakes that you can make for your Mother's Day celebrations. 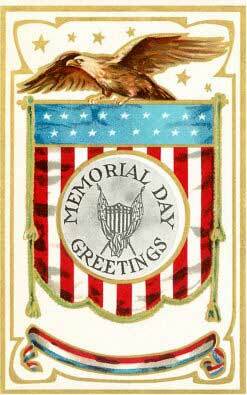 Memorial Day is another US holiday coming up at the end of the month, traditionally on May 30th, now observed on the last Monday in May. Formerly known as Decoration Day, this holiday is held in remembrance of American veterans of all wars who have passed on, as well as civilians who have also passed. The graves of all veterans are decorated with American flags and families place flowers or wreaths on the graves. Memorial Day weekend is also the unofficial beginning of the summer season, when people open their cottages and summer homes on the many lakes and ponds, and the townspeople open their swimming pools and bring out their patio sets. Ireland also has a Memorial Day observance in May, on the 17th. This will be the second anniversary of the new Irish National Famine Memorial Day. Click here for more details. I had an interesting submission from a lady looking for her Irish roots and she asked for assistance in where to begin. She was looking for the Carroll and Healy or O'Healy families. I searched the 1901 Irish Census under the surname Carroll in all the counties in Ireland. They were scattered throughout the country but there seemed to be more in the Province of Connacht (Northwest). So, when I searched Connacht, I found a Carroll family in Sligo, with a nephew living there named Healy. I gave the lady that information and, since she had no idea of where to start, she might as well start there. It was an educated guess, so I hope I was of some help to her. I also received a submission from Michael Molloy from Addergoole, Co. Mayo. He had read the article I had written about the Titanic and Ireland and brought to my attention a website called Addergoole Titanic Society. It tells of the Addergoole Fourteen, who boarded the Titanic at Queenstown, Co. Cork. Eleven of those Addergoole citizens perished in the tragic sinking of the Titanic. It is believed to be the largest loss of life for any one parish in Ireland. There are several stories to read about Addergoole's connection to the Titanic. The Addergoole Titanic Society erected a commemorative plaque in St. Patrick's Church to remember the Addergoole Fourteen who left in 1912. I have received so many wonderful compliments about the recipes on LittleShamrocks.com and on our FaceBook page. Last month I mentioned that I was going to be preparing some maple recipes for another local web site, Ben's Sugar Shack. 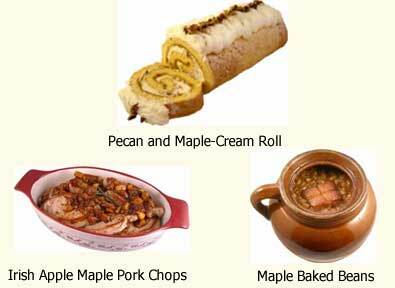 So far, I have made Irish Maple-Apple Pork Chops, Maple Baked Beans and a Pecan and Maple-Cream Roll. Until next time, I wish all of you mothers out there a very happy Mother's Day. See you in June!